All kinds of stone and soil, slope instability, the operation of soil slope and slope stability. China slope greening machine working step is: plane, anchor, hanging net, spray broadcast grassroots, spraying grass species, non-woven fabric cover, sprinkler protection. In slope greening projects, the tools used are as follows: forklift feeding, you can use the screen, a truck, water pump or water. After spraying, remember to cover non-woven, regular watering and weeding. This ensures that the grass in better conditions. Leadcrete design and manufacture of innovative, quality, equipment of green industry. 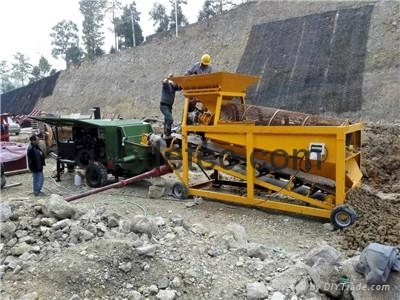 Spraying machine of slope project for more information, please send email to: sales@leadcrete.com.